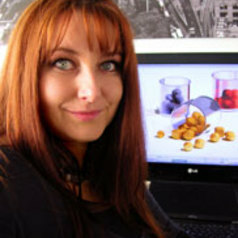 Dr Barnard graduated with Honours from the Royal Melbourne Institute of Technology (RMIT) University, Victoria, Australia, in 2001 and gained her Doctorate in 2003, with a thesis in computational modelling of carbon nanostructures. The thesis resulted in 17 journal publications and one book chapter. Since then she has published over 160 research papers, and a dozen book chapters. Her currently research involved statistical nanoscience and the application of data science in nanotechnology. Within the physics community, Dr Barnard was Associate Editor of the Journal of Computational and Theoretical Nanoscience (2005-2011), has edited other special issues of leading journals, and is currently an Associate Editor for Science Advanced (AAAS) and a member of the physical science panel of experts for The Nature Index (Nature Publishing Group). She has been invited to speak at dozens of international conferences and has co-chaired symposia in the USA, Australia and Europe. Dr Barnard has received numerous awards for her work. The following page outlines some of her recent awards.